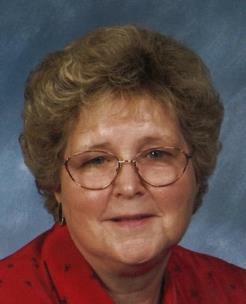 Lucille “Lucy” Orr O’Leary, 82, of Harrison, went home to be with her Lord on Sunday, March 10, 2019. She formally lived in Ypsilanti, Mi., and was retired from Greyhound Food Management (Rawsonville Ford Plant). She was preceded in death by her parents, Hoke and Lela Orr; brother, Billy Orr; sisters, Norma Jean Orr and Margaret Banther and son-in-law, Gary Heiser. Mrs. O’Leary is survived by her loving husband of 64 years, Gordon “Earl” O’Leary; sons, Ted (Linda) O’Leary of Belleville, MI, Gordon (Brenda) O’Leary, Jr. of Ypsilanti, MI; daughters, Debbie Heiser of Harrison, TN and Sandra (John) Lovelace of Ooltewah, TN; grandchildren, Kyle (Hannah) O’Leary of Franklin, TN, Randy (Amber) O’Leary of Ypsilanti, MI, Geneva O’Leary of Ypsilanti, MI, Rachel (Paul) Botu of Romulus, MI and Shara O’Leary of Belleville, MI; great-grandchildren, Kiara and Jasper Botu of Romulus, MI, Selene O’Leary of Ypsilanti, MI and Elliot O’Leary of Franklin, TN; sisters, Jean Anderson of Harrison, TN, Carolyn Anderson of Cleveland, TN; brother, Harold (Possum) Orr of Georgetown, TN as well as several nieces and nephews. Her greatest joy in life were her kids and grandkids! She loved them more than life and they in turn “Rise up and call her blessed” according to Proverbs 31:28. In lieu of flowers, the family requests donations be made to the Hugs Ministry, Church of the Highlands, 6621 Hunter Road, Harrison. The family will receive friends on Wednesday, March 13, from 1-7 p.m. at Turner Funeral Home at Highway 58. There will also be a visitation held on Thursday, March 14, from 11 a.m. until the time of the service, a celebration of her life, at 1 p.m. in the Turner Funeral Home chapel with Pastor Grady Cooper officiating. Mrs. Lucy O’Leary will be laid to rest in Old McDonald Cemetery in Ooltewah. Arrangements are by Turner Funeral Home, Highway 58 Chapel, 423 622-3171. Share your memories and express your condolences at www.turnerfamilyfuneralhome.com.